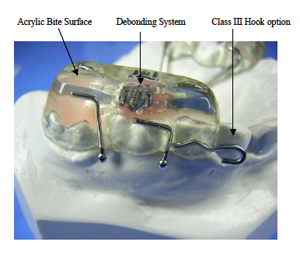 The Fisher BCA (Bite Closing Appliance) is a maxillary appliance designed to close an open bite by intruding over- erupted posterior teeth. 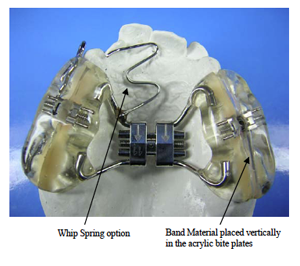 This appliance, designed by Dr. Jack Fisher, utilizes a bonded posterior bite plate fitted with 4 special ball-end hooks which attach with closed coil springs to TADS (temporary anchorage devices) placed in the zygomatic process. 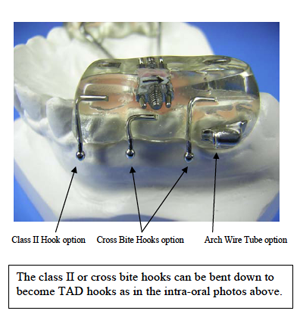 When anchored against the TADS the force of the closed coil springs on the posterior bite plate is directed in a superior direction affecting the intrusion of posterior teeth. A rapid palatal expansion option is available. Transpalatal wires (or RPE screw) are positioned a minimum of 5 mm off of the palate to allow for intrusion. Removal of the appliance is made easy by incorporating the Alpern debonding system into the posterior acrylic. 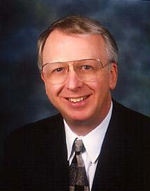 Dr. Jack C. Fisher, D.M.D. 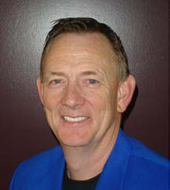 More than just a bonded palatal expander, the RPE-BP system is the cornerstone to Dr. Alpern's treatment philosophy. Posterior bite planes vertically unload the TMJ and free up the occlusion for faster, more patient friendly treatment. 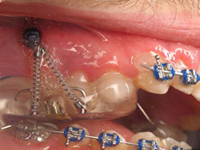 After rapid palatal expansion is completed, the posterior bite plane becomes the platform from which numerous treatment objectives can be achieved. Class II , class III , cross bite hooks, arch wire tubes and whip springs can be added. 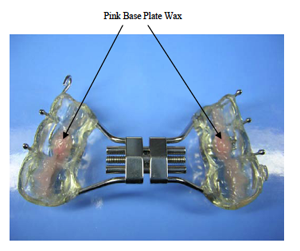 The mini screws, pink wax & vertically placed band material positioned within the posterior bite planes are all part of the unique debonding mechanism. Dr. Fisher has placed hundreds of temporary anchorage devices. The BCA is an example of how he modified and utilized the Bonded RPE-BP in conjunction with buccal implants to close the vertical without surgery in a short period of time. It is there to protect the cusp tips during debonding. It has been sealed with a fluoride releasing agent and is considered part of the appliance. PLEASE NOTE: The BCA is not listed in any of the check boxes on our Rx. Just simply write BCA under the "Special Instructions" area of the Rx.